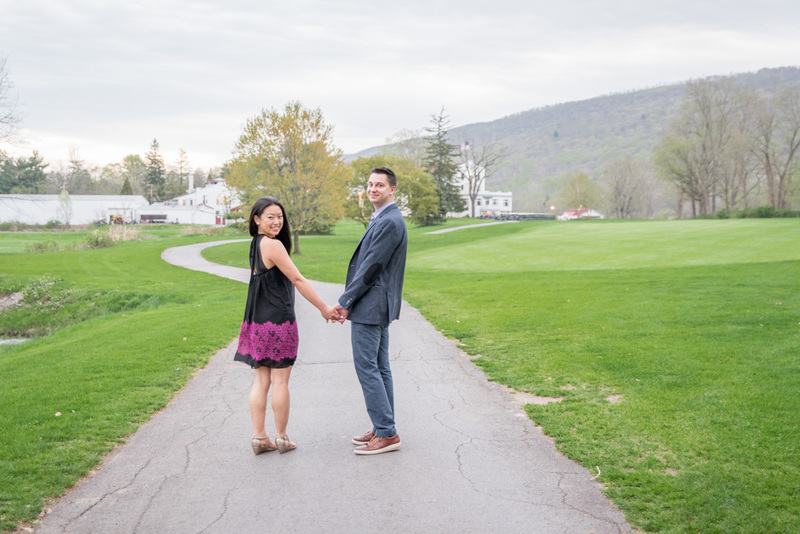 I’m gearing up for Jiaxi and Frank’s October wedding this weekend and I couldn’t be more excited! 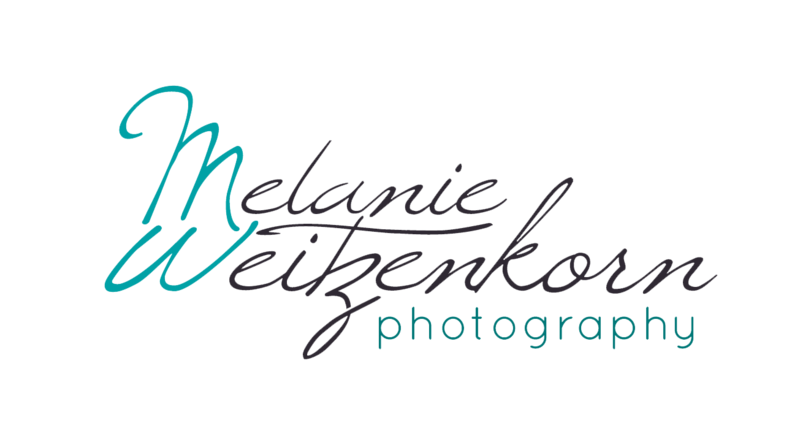 What a perfect time to look back at their photos I did for them this past spring. 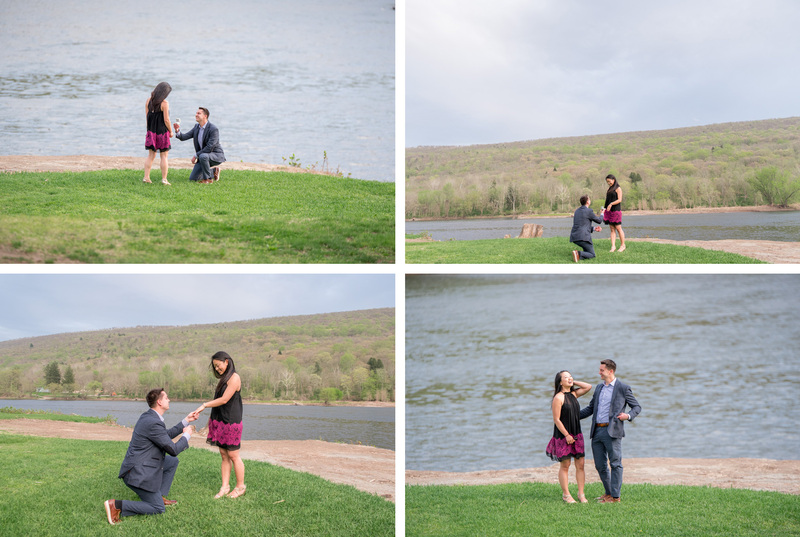 Frank set up this Pocono mountains proposal at Shawnee Inn during a weekend getaway they had planned. 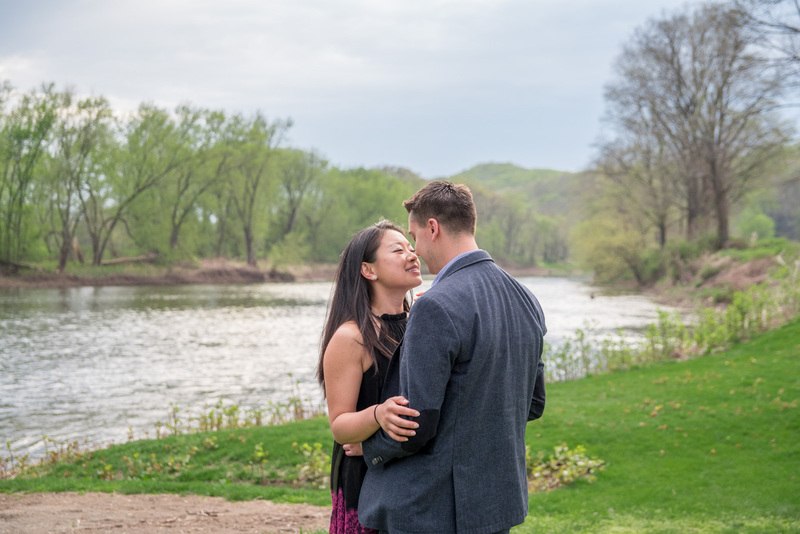 The surprise proposal was not a last minute decision but hiring a photographer was and I’m so happy they chose me! 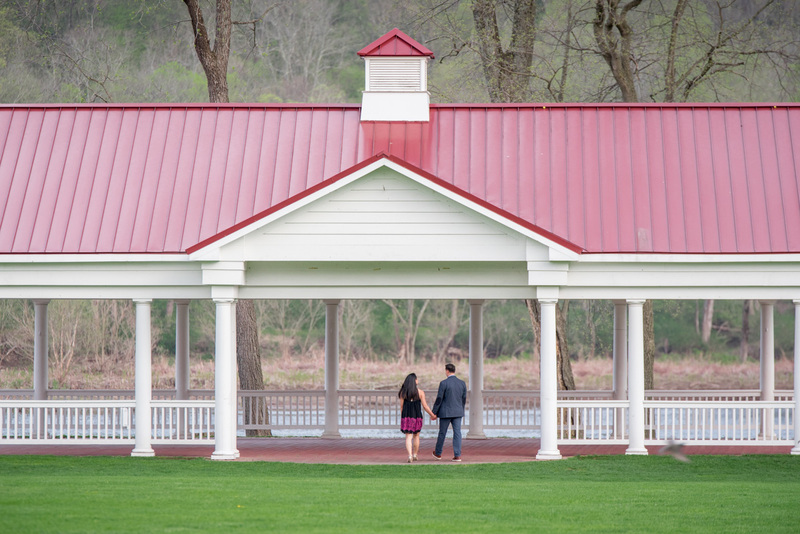 And Frank did an awesome job putting all of this together and keeping it hidden from his soon to be fiance. 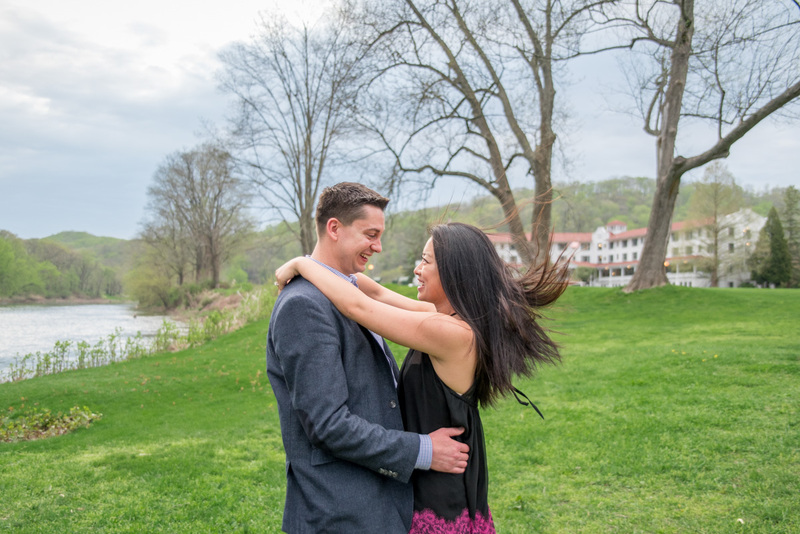 This one was a bit of a challenge to me because there was no one else around at the Shawnee Inn at the time Frank was going to pop the question. Well sure, people were there but they were the only two heading down to the water. Jiaxi thought to just see how pretty it was but Frank and I knew what was about to happen. So I had to be really sneaky and follow them down to the water’s edge without Jiaxi seeing me. 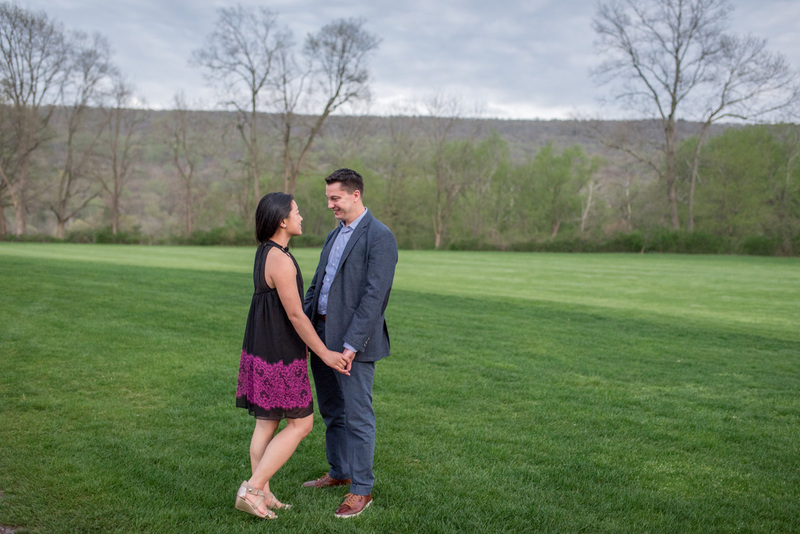 He did a great job keeping her back turned to me and then switching sides at the very last moment. 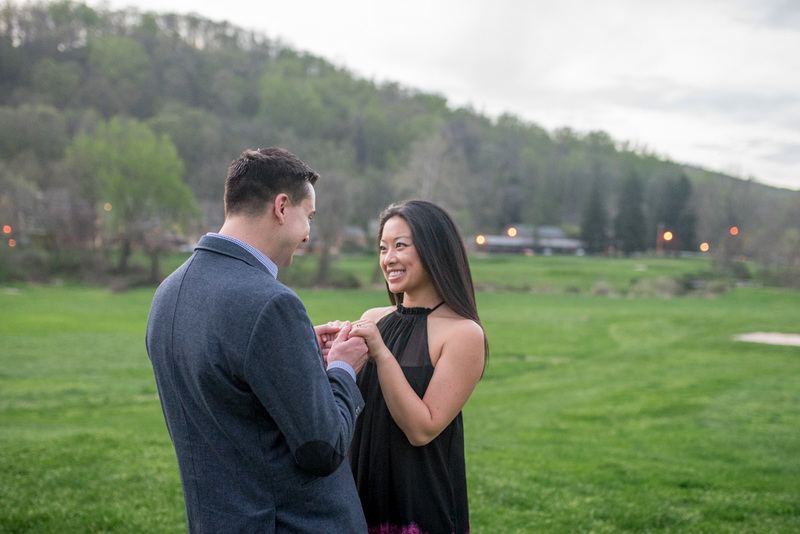 And take a look at the ring, beautiful! 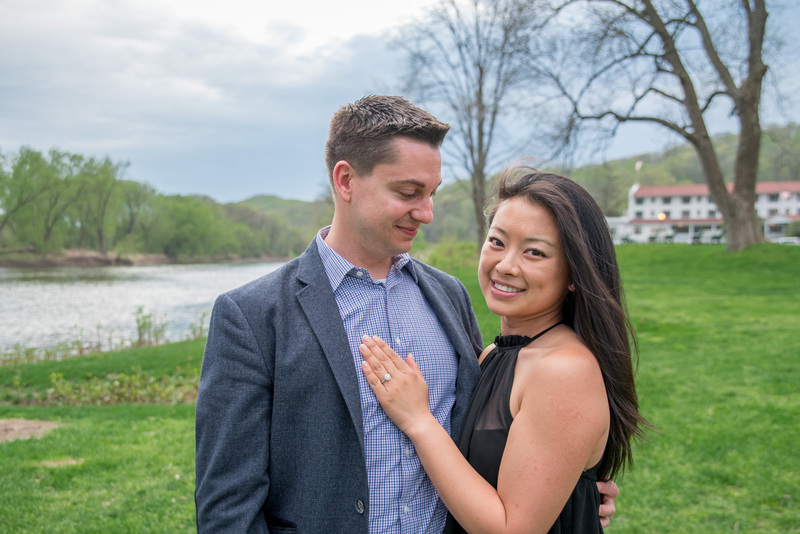 I can’t wait to see what their wedding bands look like. 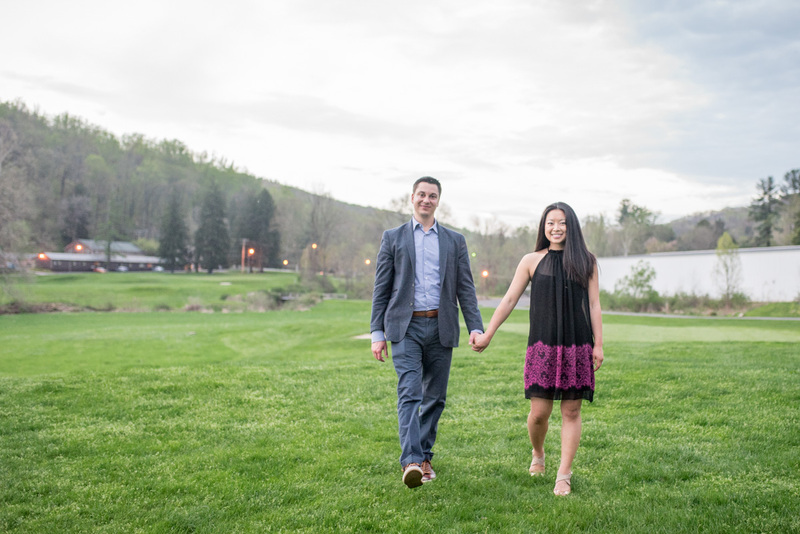 This entry was posted in Engagement photography and tagged philadelphia wedding, pocono engagement session, pocono mountains engagement, pocono mountains proposal, shawnee inn proposal, spring engagement session. 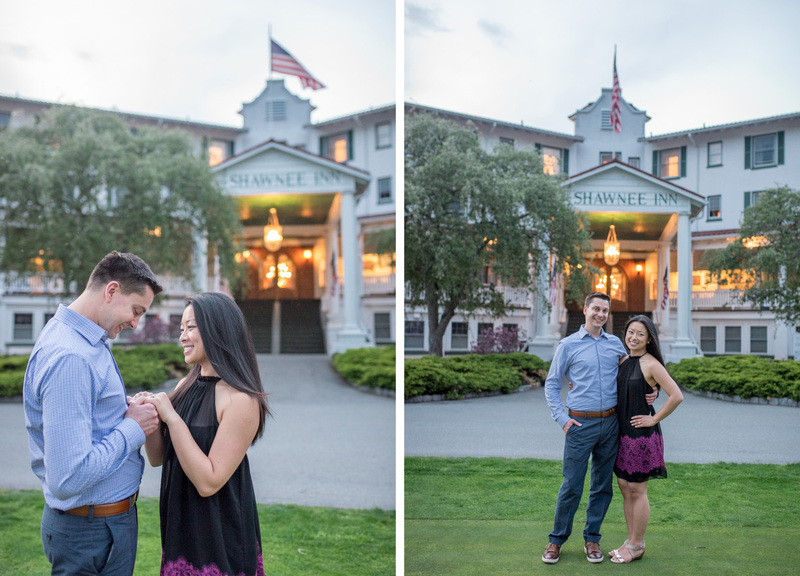 Love that you got to capture their proposal at Shawnee Inn! 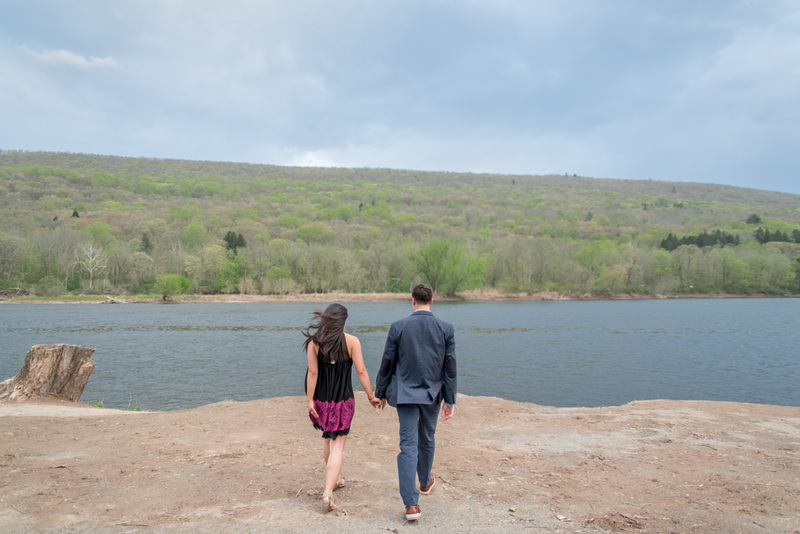 My parents had their honeymoon in the Pocono Mountains… I only hear romantic things! 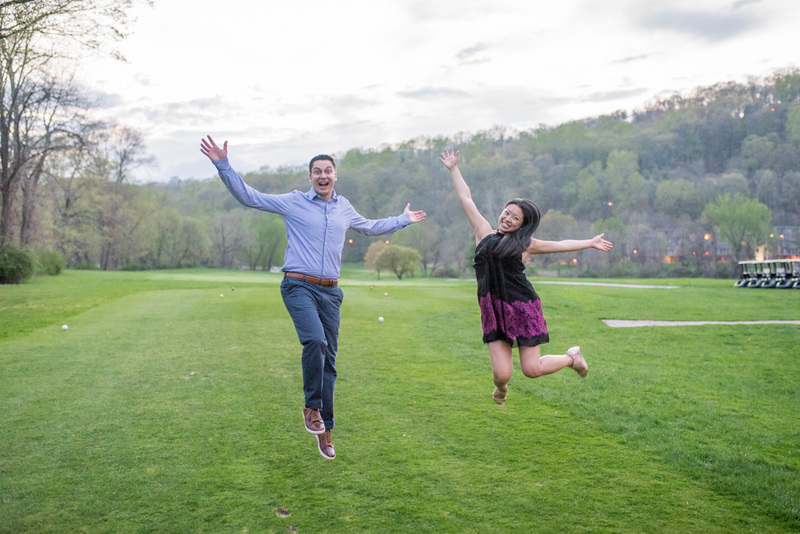 Have so much fun shooting their Fall wedding! 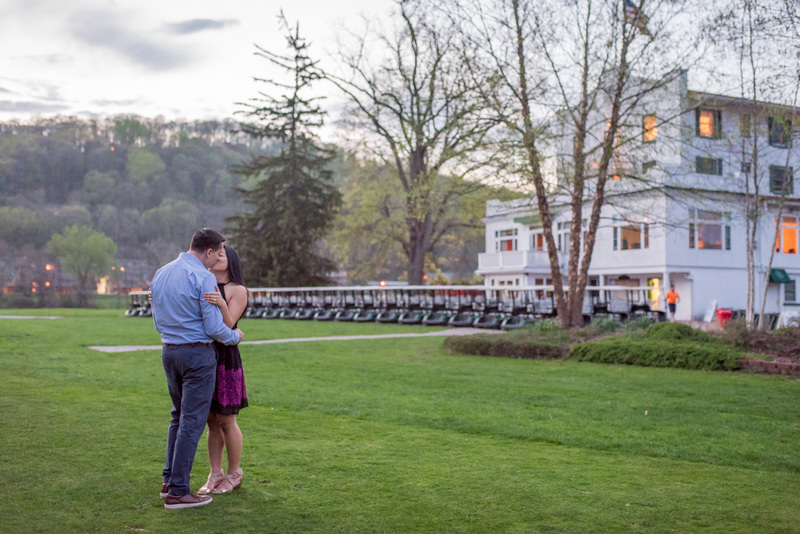 I love this proposal at Shawnee Inn captured by Melanie Weitzenkorn Photography. 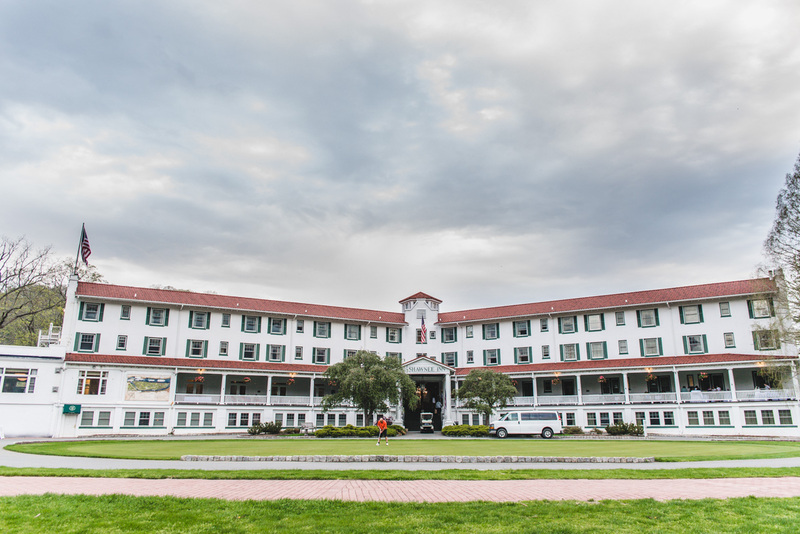 Such a fabulous location. And what wonderful photos for them to have for their memories.